Between the gripping story campaign and cooperative ("co-op") and competitive multiplayer modes, the explosive new chapter in Ubisoft's tactical action series is worth your time and money. 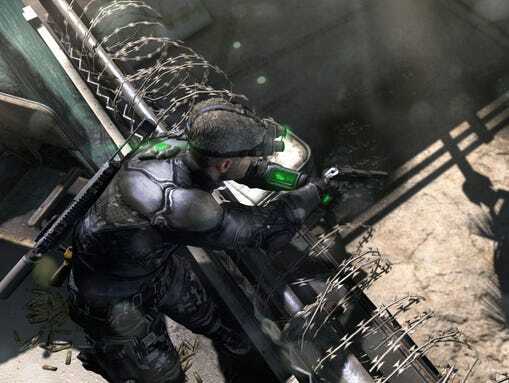 As with previous games dating back to 2002, this sixth Splinter Cell adventure has you step into the boots of Sam Fisher, an elite agent who leads a fictional counterterrorism unit. Made up of covert operatives pulled from various agencies, the newly formed Fourth Echelon attempts to dismantle a group of terrorists bent on attacking American interests around the globe. An ultimatum dubbed the Blacklist calls for the U.S. to pull its military presence out of every country or face deadly consequences. Played from a cinematic third-person perspective, you'll drop into various hotspots around the globe — from Iran to Libya to the Chechen Republic and more — to stealthily take down the threats with the aid of technical operations manager Anna "Grim" Grimsdottir, young hacker Charlie Cole and CIA operative Isaac Briggs. Note: Fisher is now voiced by actor Eric Johnson, who does a fine job, but I do prefer the deeper, raspier Michael Ironside. Ah well. Through his goggles and upgradeable tactical suit, Fisher is tapped into the new Strategic Mission Interface (SMI) to receive critical mission and map data directly from the Paladin, the high-tech airborne HQ. While racing against the clock, Fisher must remain undetected, find the right spots to camp out and take down threats by knocking them out or using knives or firepower. In fact, you can choose if you'd like to play stealthily or with guns a blazing, but the former is more rewarding. Gadgets are back — snake cams, drones, remote noisemakers and the high-voltage Sticky Shocker device — along with other new tools, weapons and moves. With the latter, a game feature called "Killing In Motion" allows you to strike multiple targets in one fluid strike — by marking and executing targets with surgical precision and timing. Regardless of the skill level you chose (from novice to expert), the single-player game is an ideal way to master your moves. But the real fun is playing online with others in multiplayer modes. For one, the thrilling co-op play has you and a buddy team up to tackle a map together — whether it's working together to distract a guard, collecting data or flanking unsuspecting enemies from two sides. In-game currency lets you buy additional weapons, such as proximity mines, or new gadgets, like quieter boots, with money earned from performing missions together. There's also competitive modes, including two versions of the four-player "Spies vs. Mercs," and a few other nail-biting options supporting even more simultaneous players, including Team Deathmatch and one called Uplink Control, where Spies and Mercs (and even mixed together if you like) fight to control a number of uplink sites and protect them while uploading data. Graphically, the game looks great, thanks to its near photo-realistic graphics, smart use of lighting, large set-pieces and smooth animation. And good news for computer gamers whose gear might be aging: While traveling I downloaded and installedSplinter Cell: Blacklist on a laptop with on-board graphics — as opposed to a dedicated video card — and it ran just fine (even though the game warned me that it wouldn't). Playing on a console or higher-end PC is still recommended, however. Fans awaiting the launch of Blacklist won't be disappointed with Ubisoft's latest. Despite a few random and small issues not even worth mentioning here, this heated tactical action game lives up to the coveted series.